This is a cute, romantic and fun read. Given its title, I am assuming it is the beginning of a new series – in fact, I am sure I know who will feature next! It does not overdo the scene setting for the series, but definitely creates interest in his pals' future entanglements. Apart from some somewhat flowery speech at times, I thought this was a really good story. It had some lovely touches, and combined all the elements of a good story. The baddies (well baddy boss) did have a heart; the dream which is mentioned, does come true, and the pets ooze cuteness and ensure that Holly and Kevin have to talk to each other. Megan was a fun sister, and friend, and Holly's Grandma was a treasure. If you are in the mood for a well written, feel good story, with plenty of humour, then this is just what you need. Looking forward to the next in the series (hint, hint!). 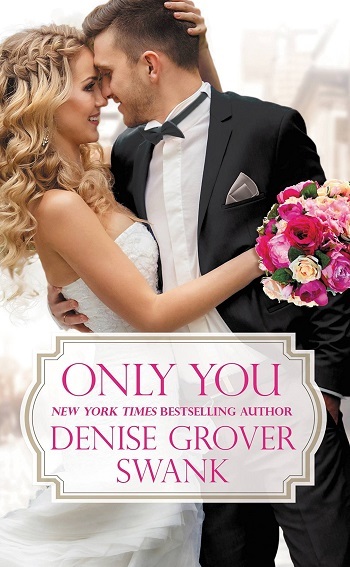 Reviewers on the Wicked Reads Review Team were provided a free copy of Only You (Bachelor Brotherhood #1) by Denise Grover Swank to read and review.